The past couple of days Mr. N and I have been relaxing at the summer place. 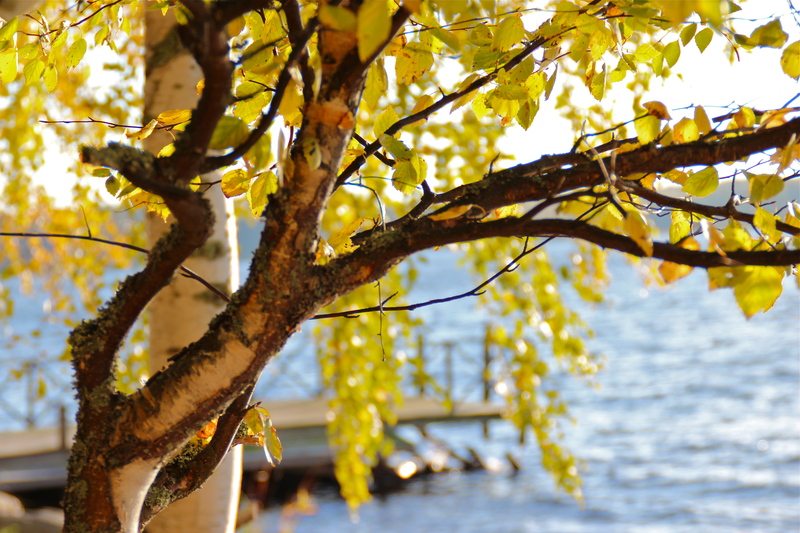 Long walks in the majestic forest, warm sauna’s in the evening and hours of together cooking. 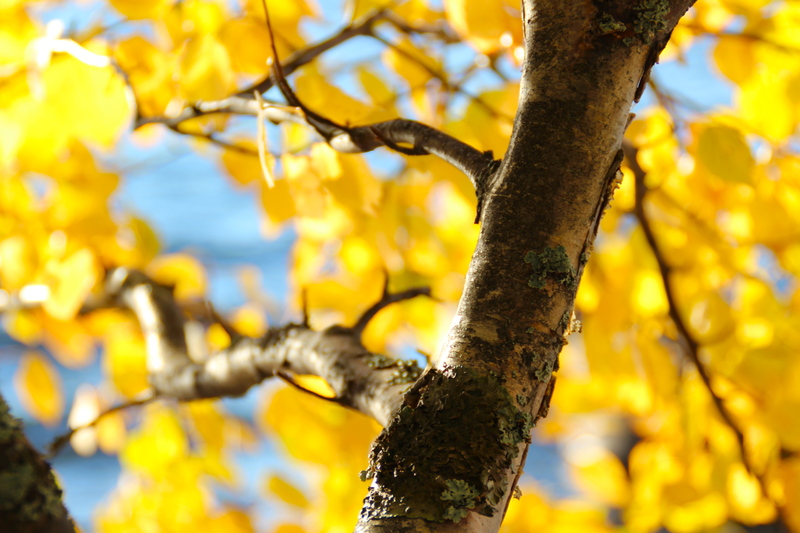 The nature has turned a gorgeous yellow-red and autumn is at its finest here. We have spent many hours in the mushroom forest and found litres of perfect juicy chanterelle. There is just that vast difference when you cook them directly fresh from the forest, the intense perfume and earthy flavour really is a special gem found in our Nordic forests. 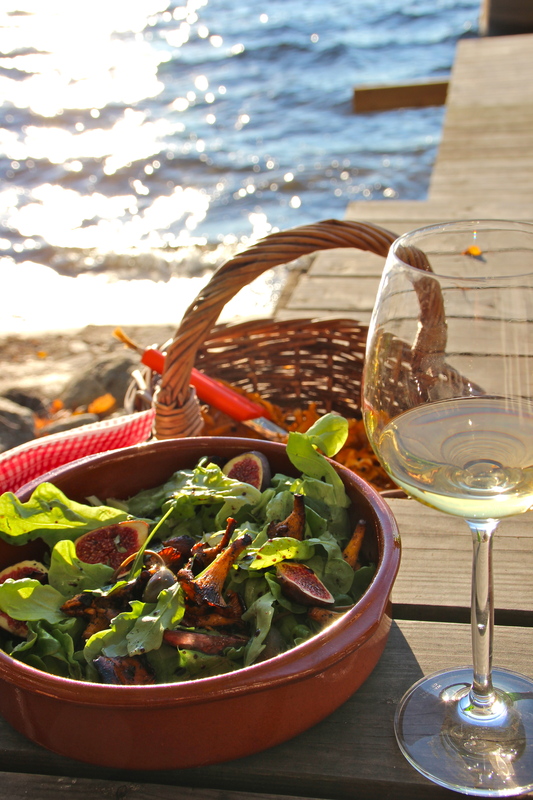 Lunch by the lake. 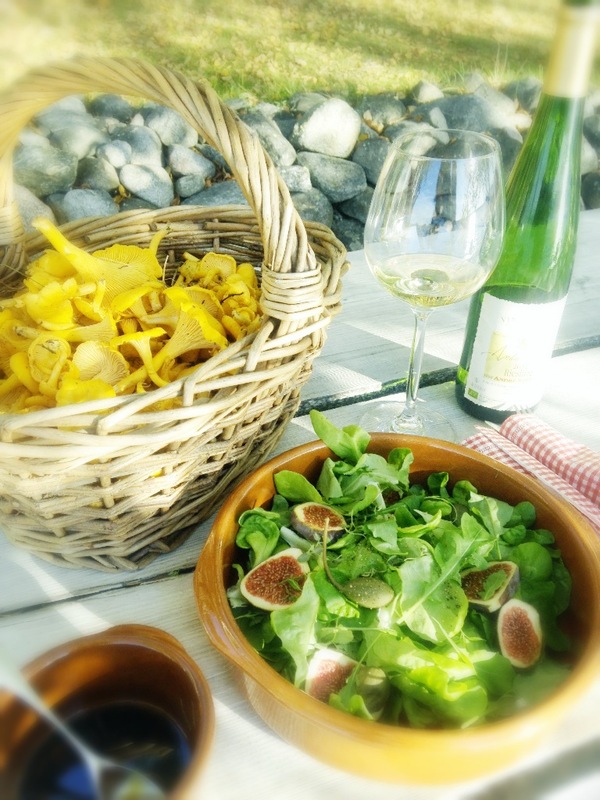 Breathing in the clean countryside air and watching the sun glimmer on the lake while cleaning the mushrooms and sipping on some dry Riesling. Cooking lunch on an open fire is a cherishable time and at moments like this the ingredients speak for themselves. The mushrooms picked just hours before being fried in butter with a bit of salt and pepper. The wood and smoke gave the mushrooms a sweet caramelized taste and I can honestly say this salad was simple but just perfect. 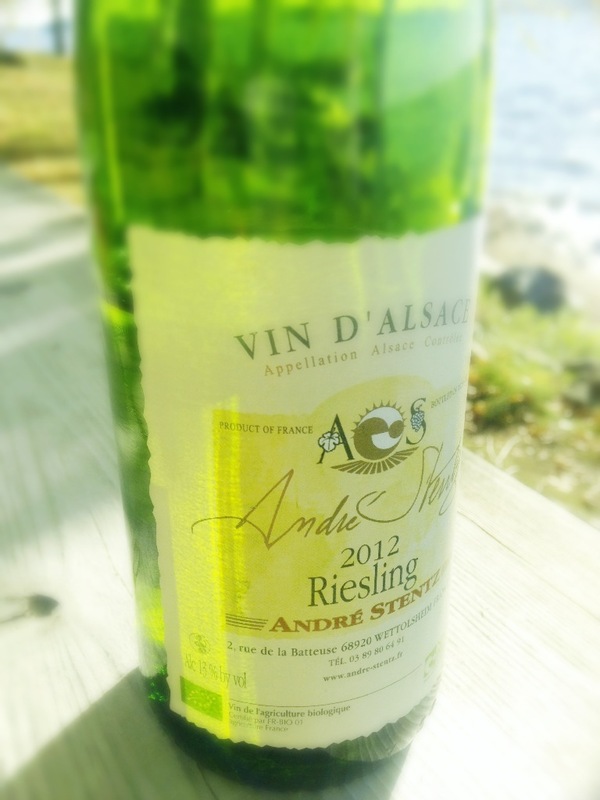 Wine Pairing: Vin D´Alsace 2012 Riesling André Stentz that is an organic wine from France. The taste is extremely fresh, acidic with a hint of grapefruit and was nice and light with the delicate chanterelle flavour. The after taste had lots of minerals leaving a crisp warm lingering feeling in the mouth. This wine also complements heavy flavours, such as blinis as it keeps the palette fresh against buttery rich tastes. Previous Post A bit of Fur.